Parents have often asked me some variation of the question: “How do we strike the right balance between molding our children and trusting them to unfold?” In my view, “molding” should be reserved for ceramics projects and dental work. In parenting, perceiving it our role to mold our kids and direct their development tends to make our experience far less successful and enjoyable. Teaching our children reduces possibilities to discover what they already know. It also risks giving children a you can’t unless I show you message, and with repetition that can become abbreviated in our children’s minds as you can’t. For example, in the over twenty years that I’ve worked with children and raised my own, it’s become clear that every single one of us is born capable of drawing, painting, creating. 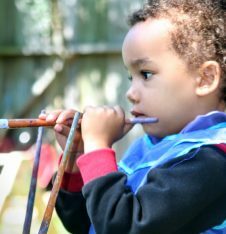 While only a percentage might have what may be considered artistic talent, all are capable of using drawing, painting, molding, etc., as expressive, therapeutic tools. 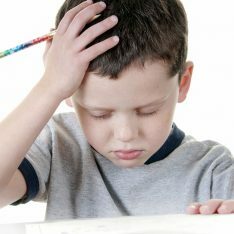 But we can easily discourage and limit this ability when we believe it is our job to show kids how it’s done, which children are inclined to perceive as the right way. Not drawing for my son was one of the early RIE topics my wife introduced me to three years ago. I was immediately skeptical as I had not read much on RIE and still clung to my own upbringing as the “right” way to raise a child. But after much hard work and modeling on her part I became a convert, thankfully well before our son’s second birthday. 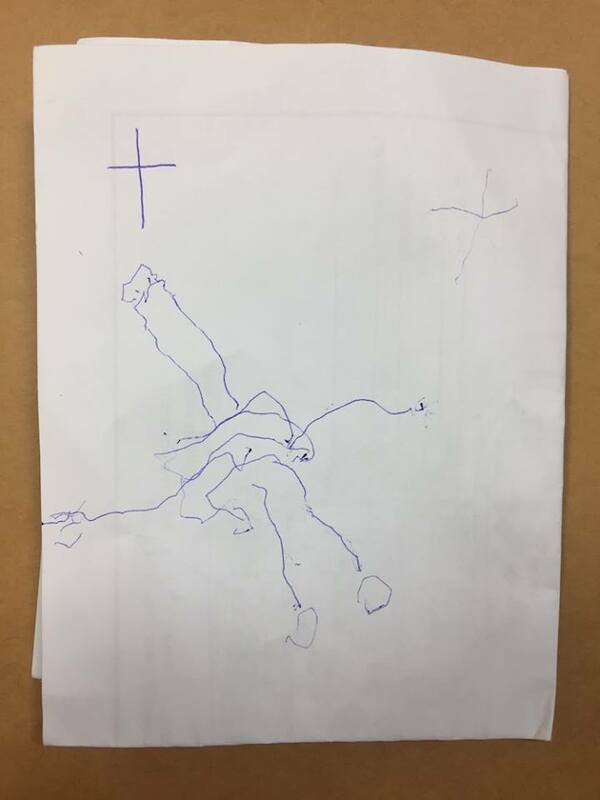 Recently, at our son’s 4-year-old wellness check, the paperwork I was filling out at the doctor’s office asked if my son could draw a person with at least three body parts. I had no idea! He had never chosen to draw one and we had never coached or encouraged him to. I got some paper and a pen, and asked my son if he would like to do some drawing. “Yes,” he said, with a smile. I then sat quietly as he worked. He narrated what he was doing all along the way. “These are feet. And these are legs.” Looking down at his own body, he went back to work. “This is the belly.” Touching his own body parts and naming them before drawing, he drew his first person ever, complete with eyes, arms and the most beautiful neck this father has ever seen. My joy was through the roof. Not at him meeting some medical milestone, or some competitive streak in me that wants my son to excel. But at seeing the satisfaction on my son’s face, being present enough to experience it and the knowledge that everything beautiful about this moment was built on trusting in my son to develop at his own pace, at his own time. Many heartfelt thanks to you, Janet, for helping make this moment a reality. It would not have happened without you. Thank you, Wyatt, for sharing your story and photos! What a wonderful post! My six-year-old son will often share details, insights, and stories while he draws. Just as described in this post, I often get more of a glimpse into his world and feelings by listening to him as draws rather than by asking direct questions about his day. I realized that I needed to listen and be present while he drew and told stories. Sometimes before I realized this, I would go into my own zone while he drew – cooking, checking my phone, etc. and miss it all. Then I would hear something that would make me realize how much he was telling me, and that he wanted me to listen, and how much I may have missed. You have a beautiful attitude and a lucky son, Kate! As someone who has always been “bad at art,” this is definitely something I will keep in mind with my son. I want him to enjoy the process freely without worrying what anyone thinks of his pictures or what they look like. I also never drew for children when I was in the classroom, even when they asked me repeatedly. I agree, giving them an example drawing takes away from the creative process and sets a standard they likely can’t meet. YES! It’s wonderful that you can understand this from a child’s perspective. So helpful! Thank you Janet! Sometimes it’s so difficult to let go of our agenda and fight our previous ways of being raised. But we miss out on so much if we keep doing things our own way. Yes, and the pressure we place on ourselves to teach and mold our kids… It’s so unnecessary! That’s one of the reasons I’m forever grateful to Magda Gerber. She showed me that trusting my children meant letting go of unnecessary, unhelpful obligations. Wonderful article! I have often found myself correcting others who ask my kids, “What color is the tree supposed to be?” with the expectation that they will answer green. I tell them to wait and watch. There is almost always a story behind why the colors or shapes are the way they are. We miss those stories, when we get caught up in the “correct” way to be an artist. Beautiful insight! Yes, our children’s perspectives are fascinating and truly one of the joys of parenting. It’s so easy to get caught up in overriding and overlooking what children have to teach us. Oh this is all so true! Sadly my husband has recently been drawing for our 2.5 year old son when I’ve been working and now he won’t draw for himself anymore. He just brings his crayons and paper over to me and says “Can you draw a cow for me mama, like papa does?”… I’ve tried saying “I’d prefer to sit beside you while you draw” but he just says “No, you do it” – I don’t and then he often goes and plays with something else instead. I’m not sure what to do to encourage him as he used to love drawing. I would be very comfortable setting a boundary, while acknowledging his feelings. Matter-of-factly say something like: “You want me to draw the cow for you. I know Daddy does that, right? But I’m going to say no. ” If he persists in asking, “You really want me to draw like Daddy does. 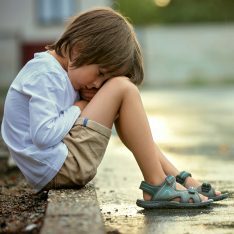 I hear you.” If you can clear and confident and then completely let this go, he will come back to drawing in time. But if you are uncomfortable and wanting to coax him to to drawing again, it will likely take longer. I will definitely try that approach next time he asks. Thank you so much for taking the time to reply Janet, I really appreciate it! My pleasure! Please let me know how it goes. Be confident! Very Important article. ““molding” should be reserved for ceramics projects and dental work.” I love it. Each child has in inner teacher, parents and other educators must partner-up with this inner teacher. Failure to do so causes all sorts of problems. When bits of my day with my two and three year old have been challenging and I recognize I’ve not had your advice in my head at the right time or behaved as patiently and as relaxed as I wanted to, you podcasts never fail to calm and re-center me. On a more positive note, I often DO manage to stop myself jumping in to solve their problems or arguments and to whisper “connect, connect” to myself when my three year old is whining. Thanks for your understanding advice and examples and the background chat that you give. Aww, it’s my absolute pleasure, Abi! Thank you for your kind feedback. We filled out a milestone paper at a children’s event for our then 3 yr old son. There were things we knew our son could do so we marked them honestly about how he could do them. Some of them were physical and we weren’t sure, so we made a game of it and asked him if he could do the different tasks. One of the questions was about if he could draw a face, he’s not done that before-we haven’t asked- and he was playing so we marked that he couldn’t as we didn’t think he could, most of his drawings are squiggles. The nurse looked at the responses and said he was doing well for his age, some places a little above average. One on the lower end of normal(the drawing part). a couple days later our son was drawing and he told me while he was drawing that he was drawing a face AND he totally did. It had ears and everything. That kid always surprises me when I am thinking he’s not quite at the stage of doing something and then he does it.